Upward Bound program provides fundamental support to participants in their preparation for college entrance. The program also provides opportunities for participants to succeed in their pre-college performance and ultimately in their higher educational pursuits. 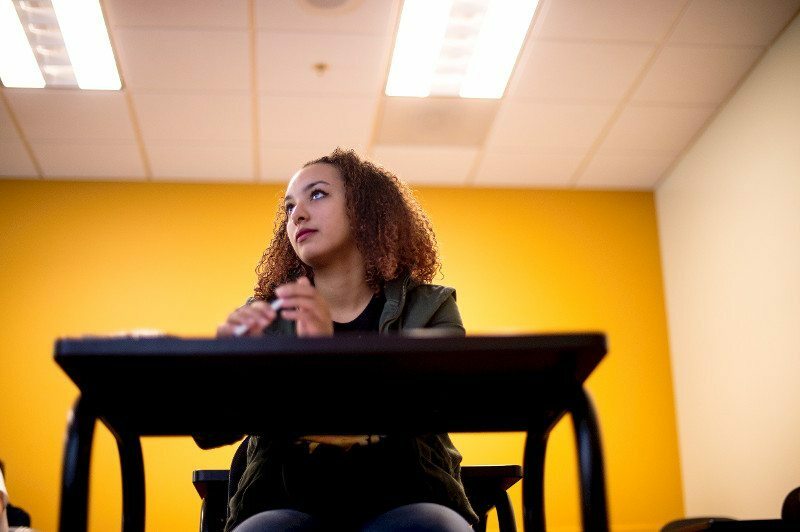 Upward Bound serves veterans and high school students from low-income families or families in which neither parent holds a bachelor’s degree. The goal of Upward Bound is to increase the rate at which participants complete secondary education and enroll in and graduate from institutions of a college education. Find eligibility requirements further down the page, depending on the program you qualify for. 9th and 10th grade students from project’s target schools in DeKalb County are eligible for the program. Students must meet the first-generation and federal income requirement guidelines. Students who are homeless children or youth, students who are in foster care or other disconnected students are eligible for the program. Students will be required to receive recommendations from their school counselors and teachers. Please contact 404-413-1706. A complete application consists of: application, recommendations, income verification, and a copy of an updated transcript. Incomplete applications will not be considered. Please note that submitting an application does not guarantee admission into the Upward Bound Program. 9th and 10th grade students from project’s target schools within the Atlanta Public and Gwinnett County school systems are eligible for the program. Students must meet the first-generation and federal income requirement guidelines. Students who are homeless children or youth, students who are in foster care or other disconnected students are eligible for the program. Students will be required to receive recommendations from their school counselors and teachers. Please download the form Atlanta – Gwinnett Upward Bound Program. A complete application consists of: application, recommendations, income verification, and a copy of an updated transcript. Incomplete applications will not be considered. Please note that submitting an application does not guarantee admission into the Upward Bound Program. Please download the Upward Bound Math Science application. A complete application consists of: application, recommendations, income verification, and a copy of an updated transcript. Incomplete applications will not be considered. Please note that submitting an application does not guarantee admission into the Upward Bound Program. Veterans Upward Bound provides intensive basic skills development in those academic subjects required for successful completion of a high school equivalency program and for admission to postsecondary education programs. Projects may also provide short-term remedial or refresher courses for veterans who are high school graduates or GED recipients, but have delayed pursuing postsecondary education. Projects are also expected to assist veterans in securing support services from other locally available resources such as the Veterans Administration, state veterans agencies, veteran associations, and other state and local agencies that serve veterans. Academic and career assessment to help veterans become aware of their abilities and to help them clarify their goals. Assist veterans in choosing the right school for the program they’re interested in; help with filling out admissions applications. Assist veterans in locating sources of financial aid and assisting them filling out the financial aid applications and veterans education benefit forms. Online computer led instruction in mathematics through pre-calculus, laboratory science, foreign language, composition and literature. Software tutorials are also provided for Microsoft Office Suite: Excel, Access, Word & PowerPoint. Individual and group counseling on academic, financial aid, and career concerns. Individual and group workshops and information sessions to assist veterans in preparing for the COMPASS college placement test. Individual and group workshops and information sessions to assist veterans in understanding basic financial concepts such as budgets and debt management. Individuals are referred to local agencies that will address veterans basic needs such as General Educational Development (GED) prep, basic computer literacy, and other services.